Sample the 'Derry Air', dine at Brown's, walk or cycle, The Sperrins, fish for salmon, visit Co. Donegal, golf at Castlerock, Portstewart, Royal Portrush & Ballyliffin, coffee at Crusoes, see the Giant's Causeway or surf at Portrush. 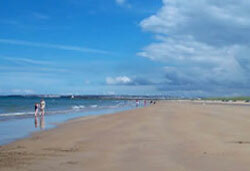 Relax and Enjoy Northern Ireland! 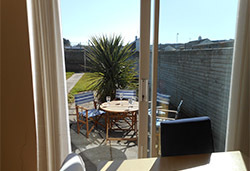 Derry Farm Cottages provide Corporate and Vacation Self Catering Rental Accommodation on the outskirts of the historic Walled City of Derry~Londonderry, and also at Castlerock (nr Portrush). 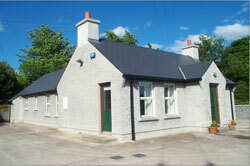 Our accommodation provides the ideal base for Tourist Visitors and Corporate Executives working in Northern Ireland. 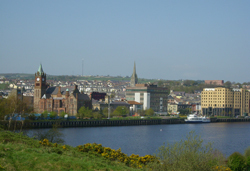 Superb scenic location for Derry~Londonderry- ideal for touring, golfing, walking, cycling, fishing holidays, Tourist & Corporate International clientele. Tourism Northern Ireland (Tourism NI) certified. Winners of WIN Innovation Award. The interiors of the self catering cottages provide excellent accommodation finished with quality furnishings and facilities. The cottages are equipped with free WI-FI, 'Managhmore' cottage also has SKY - providing a relaxing alternative choice for Business Clients and Holiday Visitors. With direct bookings (Contact Us) we accept major credit/debit cards or Paypal. All inclusive tariffs. Any Day Check-In. Private parking available for larger vehicles. 'Our Beach House' (sleeps 6) is a seaside retreat at Castlerock, minutes from the beautiful Blue Flag beach, train station, and Castlerock Links Championship Golf Club. Nearby is Coleraine, Royal Portrush, (British Open Golf, NW 200) Portstewart and the Giant's Causeway and Coastal Route on the Antrim Coast. Within a day you can merge countryside walks and surfing, with visits to places of interest both ancient and modern, mix sightseeing with shopping and fine dining. Golfing, Fishing, & 'Oakfire Paintball' nearby. 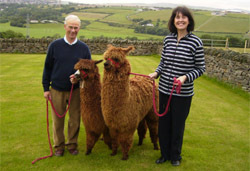 Whether relaxing on holiday or as visiting professional executives seeking superior self catering accommodation in Northern Ireland, Derry Farm Cottages have the ideal base!